Country Rose RV Park is small and cozy but has all the amenities you would enjoy at a much larger brand name park. Our convenient location in the Grand Circle of National Parks makes it easy to access all the state and national parks nearby. 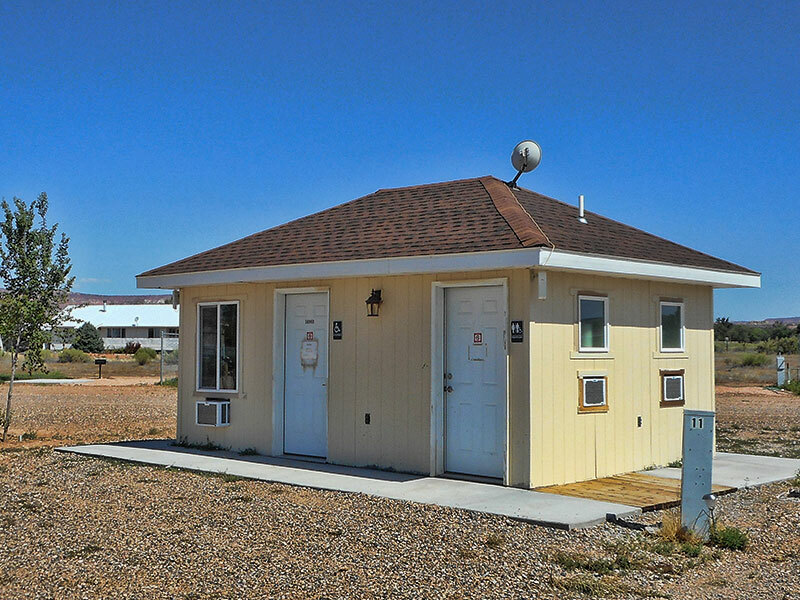 Our visitors enjoy onsite showers, restrooms, laundry facilities and free park wide Wifi. 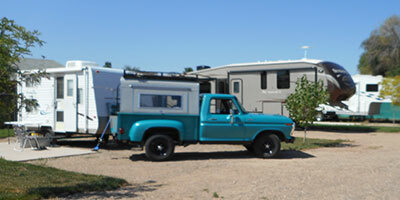 Country Rose RV Park offers nightly, weekly and monthly rates at affordable prices. 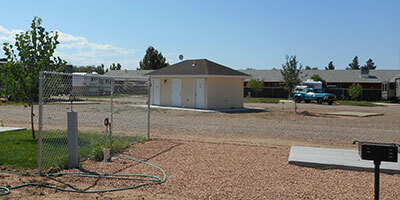 We have two bathroom/shower facilities on property. Country Rose RV Park reserves the right to make necessary changes in rules and regulations to be in the best interest of the park and the guests residing therein. 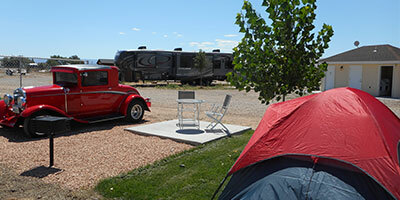 Country Rose RV Park further reserves the right to refuse service, limit length of stay and the number of persons, pets and vehicles per site. Country Rose RV Park will not be held responsible or liable for fires, theft, acts of God and/or nature or any cause to personal property or injury or inconvenience to persons on said owner’s property. Check out time is 12:00 PM. Leave your site clean. If you wish to extend your stay, you must inform the office before 10:00 AM on your check-out date. Quiet time is from 10:00 PM to 8:00 AM. Unescorted minors must be at their site by 10:00 PM. An adult must accompany children under 12 when at the office and all communal areas. Adults are responsible for their children’s safety and their whereabouts at all times and are liable for their actions. Rowdiness, abusive language, and drunkenness will not be tolerated at any time. The use, possession or distribution of recreational drugs will be grounds for immediate eviction. NO SMOKING in any park buildings or within 25 feet of doorways. properly dispose of cigarette butts. Dumpsters are provided for household trash only. Please break down all boxes. Speed Limit is 5 miles an hour. Drive CAREFULLY for the protection of our guests. Bicycles must stay on roadways and adhere to the speed limit. Motorcycles are to be used for in and out travel only. Sealed sewer connections must be used when connecting into the sewer drain. If you do not have one, we have them available for purchase in the office. Ground disposal of gray water is illegal. Pets are to be attended to and on a short leash (attached to you) at all times. Clean up all droppings immediately, non-compliance will result in a $25.00 fine (minimum). Nuisance problems with your pet (such as, excessive barking or non-compliance of cleaning up after them) may result in you being asked to leave the park. Pets are not allowed in any park buildings. Restrooms & Laundry are for registered guests only. We appreciate your help keeping them clean. Use of grills is permitted. Do not place grills on the park tables, or you will be required to pay for damage done to the table. Burn bans must be observed when in effect. RV’s must be able to be moved at a moment’s notice. Sites & Grounds: No digging. No cutting or defacing of trees is permitted ($250.00 fine minimum). Country Rose RV Park is not responsible or liable for the delivery of messages, mail or parcels. Please stop by the office to pick up these items. Monthly deposit is only refundable with 30 days’ notice of you leaving the park, otherwise nonrefundable.